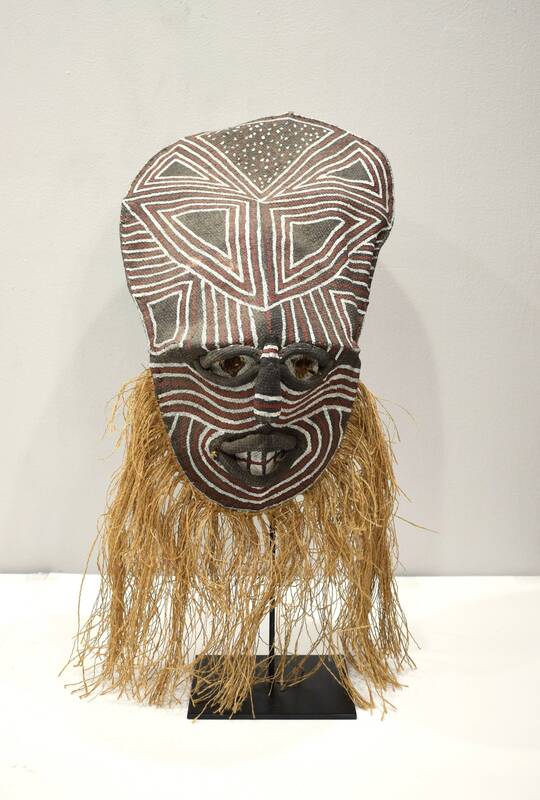 This is a very unique Makishi Mask from the tribal people of Zambia. During the enthronement of chiefs and at other sociopolitical events, Makishi are primarily associated with Mukanda, the complex and often lengthy process of initiating young boys into adulthood. 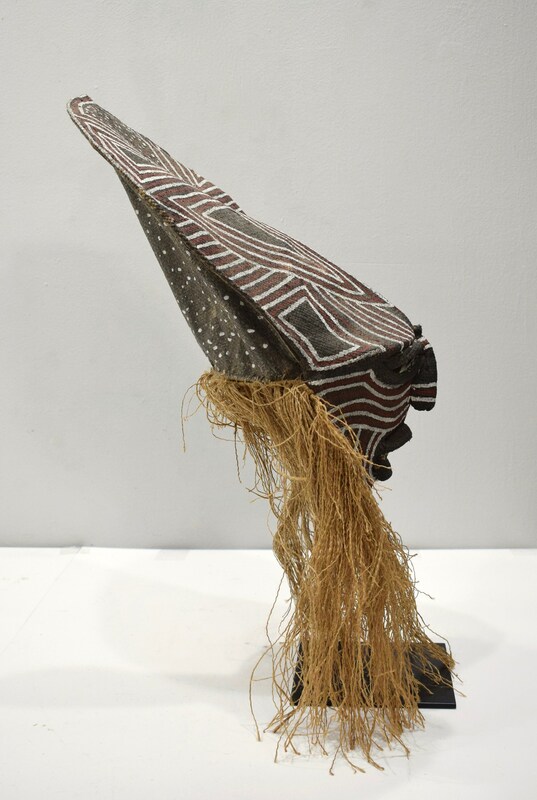 During this crucial transformation, the ancestors return as Makishi to guide, assist, protect, and educate the young boys in their initiation camp and to bring positive spiritual influences to the community hosting the Mukanda. Women and uninitiated boys interact with Makishi, but the masks are created and performed solely by initiated men. 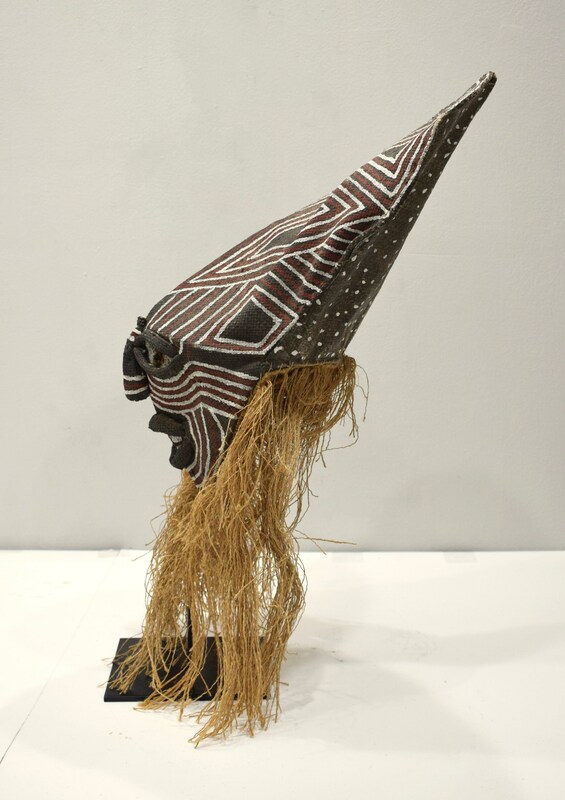 All are made of wood, and many are embellished with plant fiber, cordage, beads, and other materials that carvers use to make motifs and other subtle yet important features that convey Makishi characters of different gender, age, social rank, and other traits. 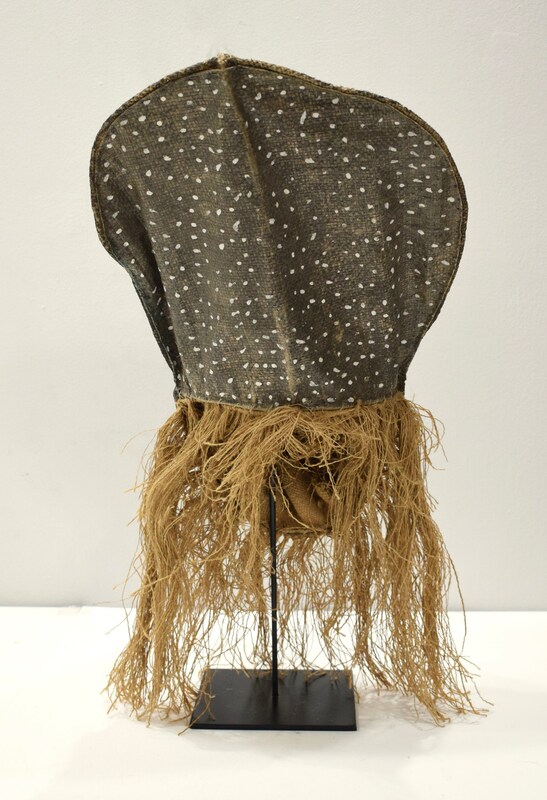 This is a fabulous one of a kind mask that would compliment your collection.